The Response, a day-long event pitched as a nonpolitical time to pray for the country and for Christian unity, came to Cleveland the weekend before the Republican National Convention. The first Response rally served as the unofficial kick-off to Rick Perry’s 2012 presidential bid; subsequent rallies have been hosted by Republican Govs. Bobby Jindal of Louisiana, Nikki Haley of South Carolina and Pat McCrory of North Carolina. Like other Response rallies, the one in Cleveland was sponsored by Christian-nation advocate David Lane and emceed by “apostle” Doug Stringer. And like the others, the day featured music and individual and communal prayers divided into alliterative thematic sections: Revelation; Repentance (personal and corporate); Reconciliation; Revival; Reformation; and Refreshing. If you have six hours or so, you can watch the whole thing online. Stringer said at the beginning of the rally, as he did in conference calls with clergy in the weeks before the event, that its purpose was nonpolitical and that it was intended to unite Christians across lines of race and denomination to pray for the church and the country. But given the time and place of the gathering, the ideological worldview of its organizers and the content of many of the prayers, it is impossible to take the “nonpolitical” claim seriously. 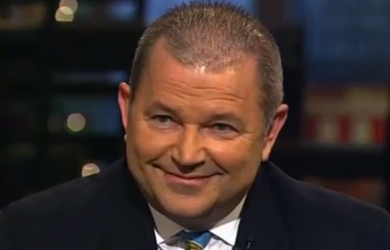 David Lane believes that the U.S. has a mission to advance the Christian faith and he is organizing to elect leaders who support his Christian-nation vision. Stringer is associated with Seven Mountains theology, which holds that all the “mountains” of culture, or spheres of influence in society — education, family, government, media, arts & entertainment, business, and religion — are meant to be run by the right kind of Christians. A number of speakers echoed Seven Mountains rhetoric, and some were tasked with praying for specific mountains. For example, one person prayed for the media, asking that God “remove those who stir strife and divide.” Others prayed for revival to sweep through the military and college campuses, leading to the rising of a generation “that will not accept compromise.” One prayer leader said “the devil is destroying our families” and called for “male and female marriage” to be established in the land; more than one speaker prayed for husbands to love their wives and for wives to be submissive to their husbands. The event itself had the feel of an extra-long service at an evangelical megachurch: big stage; rocking worship teams with great singers and musicians; song lyrics projected on a video screen; some people dancing, some kneeling, some prostrate on the floor. The event’s structure, with music and themed sections, worked to create an emotional roller coaster, taking people down into introspection and grief at their and the nation’s sin and brokenness and then up to a triumphant and celebratory victory over sin; the music ranging from quiet and tender to driving dance beats and then back again. Introducing the section on corporate repentance — not in the sense of corporations but in the collective sense of the sins of the church and the country — Stringer cited 2 Chronicles 7:14, the Bible verse that is now ubiquitous at Religious Right events: “If my people, who are called by my name, will humble themselves and pray and seek my face and turn from their wicked ways, then I will hear from heaven, and I will forgive their sin and will heal their land” (New International Version). 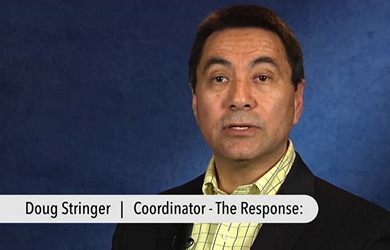 According to Stringer, the “my people” part of the passage suggests that Christians need to repent and clean up their own act if they are to have any hope of transforming the culture. Among examples speakers gave of “the church” prostituting itself was the acceptance of “moral licentiousness and moral looseness” as well as the existence of legal abortion and human trafficking. And the other government leaders that God has put there, we must pray constantly that the Lord would grip their hearts and compel them and they would come to know him as his personal savior that they too might live according and legislate and be leaders and speak according to a biblical worldview, that they would know the savior and know the truth and live it out. It is essential that our laws and policies continue to reflect the truth of the Judeo-Christian principles and values that God himself has established in this nation. So let’s pray for our leaders right now. Father, pour out your Holy Spirit on the leaders of this nation for those that know you Lord Jesus, let them not lean on their own understanding but let them turn to you that you would direct their paths, Holy Spirit. Those of us who’ve overcome by the blood of the Lamb and the word of our testimony have an opportunity in the midst of a world that stinks to be a fragrance of the kingdom of heaven…We live in a stinky world, but we’re called to be that Febreze, that sprayer of the fragrance of heaven. Wherever there’s stink we want to spray the presence of God.